Indulge both your fishing and overnight cruising fancies in this nifty 30-footer. If you’re looking for a platform that’s great for both fishing and fun on the water, then a center-console boat is probably where you should start your search, right? But what if you also want a place to sleep, or maybe you have occasional cruising in mind? 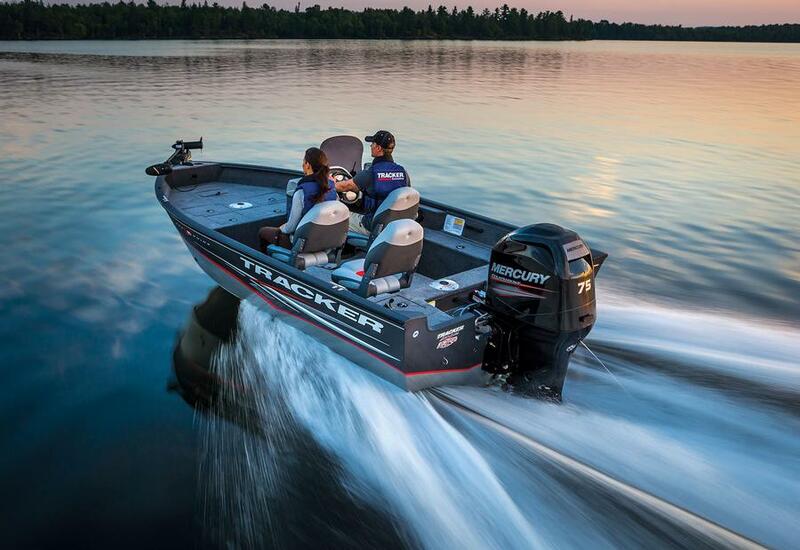 That’s when an express boat with a bend toward fishing begins to make a lot of sense, and the new Century 30 Express is one you should consider. The Century 30 Express offers fishing flexibility and interior accommodations in one package. 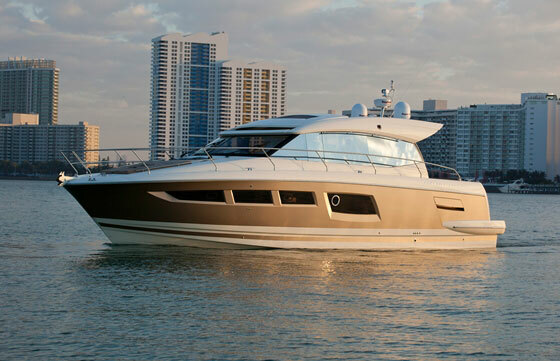 The Century 30 Express was launched at last year’s Fort Lauderdale International Boat Show. Worth noting is that it’s a bit of a miracle that Century is building boats at all. 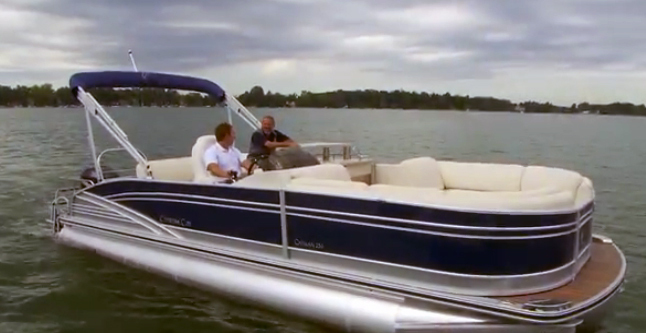 Century has been around and building great boats since 1926, but it was bought and sold by a few different companies in the last two decades until its last owner, Yamaha, shuttered operations in 2009. By 2010, Yamaha was seeking a buyer, and in 2012, Allcraft Marine of Dade City, FL, purchased the brand. 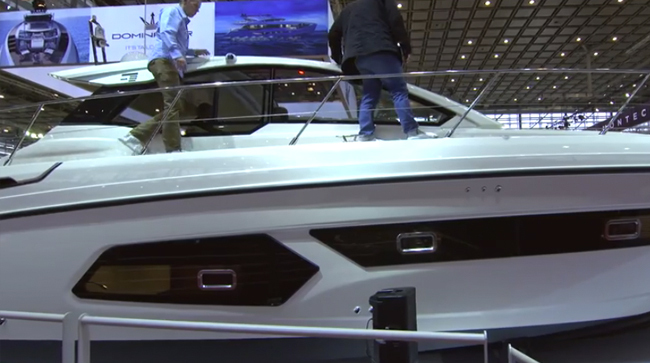 Today, the company’s vibrant lineup includes 11 different fishing boat models. Speaking of fishing, the Century 30’s angling abilities are evident from the moment you step aboard. 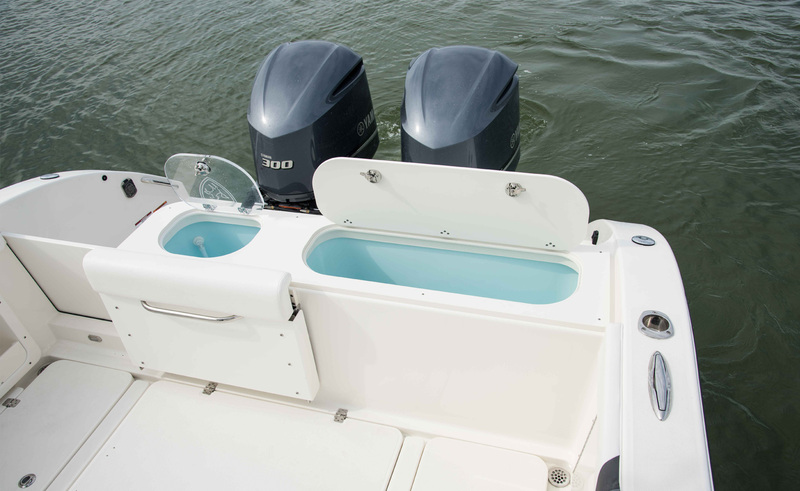 The transom has an aerated livewell and insulated fish/bait box set into it, and an ample transom walk-through should make boating large species easy. Better still, a sizeable fish locker is conveniently situated just forward of it, with another located to port. Rod stowage is everywhere, from the four inset gunwale rod holders to the line of eight rocket launchers on the aft end of the hardtop. Cushy bolstering lines the cockpit gunwale, a great feature to have when you need to lean into a big fish. A transom walk-through, big fish boxes, an aerated livewell, and a huge insulated fish/bait box proves the Century 30 means business, when it comes to fishing. Continuing in the cockpit, there are two aft-facing seats with stowage under them just behind the helm area. There’s also a small, pop-up seat at the transom. The starboard aft-facing seat has a tiny sink and a small, two-box tackle arrangement set just forward of it, but I really wish that they’d done something more substantial here in terms of providing a rigging station. If you do try to cut bait back here, you’re likely going to trash the upholstered seat aft of it anyway, so the argument for simply doing away with that seat and putting a rigging station here seems viable. The helm area is up a step from the cockpit and nicely set behind a large, wraparound windshield. Above is a sturdy hardtop supported by anodized aluminum pipework. The helm has a beautiful swiveling LLebroc captain’s chair and is mounted at such a height as to provide excellent visibility to all corners of the boat. Companion seating is to port; it’s an L-shaped affair good enough for two to three guests. There’s enough room in the helm dash for twin multifunction displays, trim tab switches, engine instrumentation and controls, and all manner of electronic goodies, but it’s all set into gleaming white gelcoat, which can sometimes glares in direct sunlight. The boat I boarded had twin 300-horsepower Yamaha F300 outboards, but there are all sorts of single-and twin-engine Yamaha power plant options available, including twin 350-horsepower Yamaha F350 outboards. Those fire-breathers should provide stunning performance and top speeds in the mid to high 50 MPH range. The reps at the show told me the twin F300s provide a top end in the mid to high 40s. The interior on the Century 30 Express is warm, comfy, and has more features than you'd expect on a boat this size. Down below on the Century 30 is a clever layout that offers not just basic Bohemian accommodations, but a galley, enclosed head/shower, sizeable aft berth, and plenty of forward seating. Dark wood cabinetry and a wood cabin sole add a rich feel, while three circular overhead hatches provide light and ventilation. If it gets too hot—or cold—a reverse-cycle air conditioner/heater is standard. To starboard as you walk down the companionway steps is the head, which has an electric macerating toilet, a washbasin, and a shower. Forward of the head to starboard is a settee that can be converted to a dinette with a table insert, but it’s awfully small, even for two people. A berth is set into the bow and can provide close sleeping quarters for two. 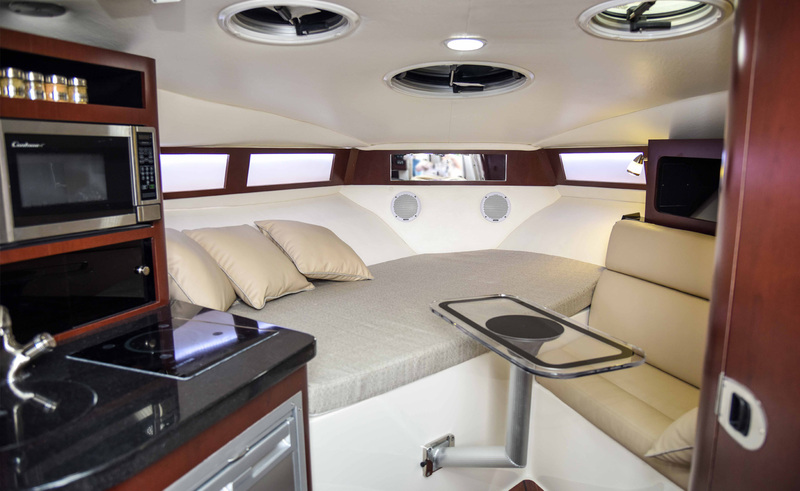 A more expansive sleeping area is snuggled under the aft cockpit behind the companionway steps, just a hair under queen-size. The galley, situated on the port side of the companionway, has a single-burner electric cooktop, microwave, sink, and refrigerator/freezer. You won’t be preparing lobster thermidor down here, but it’s capable enough for heating up snacks, making sandwiches, and preparing small, one-pot meals. There’s an amazing amount of clever stowage here, with three drawers for cooking and eating utensils, and additional stowage cabinetry set around the microwave oven. I've been on 38-foot express cruisers with galleys that aren't as nice as this 30-footer's; Century did a great job here. All in all, the Century 30’s interior has enough room to keep a small family comfortable for a weekend, or provide an offshore fishing crew plenty of space to relax and recharge on long offshore fishing trips. Fishing features? Check. Onboard accommodations? Check. Powerful performance? Check. If a fishing boat with expanded capabilities for overnighting and cruising are what you’re looking for, the Century 30 Express awaits. And so do the fish. 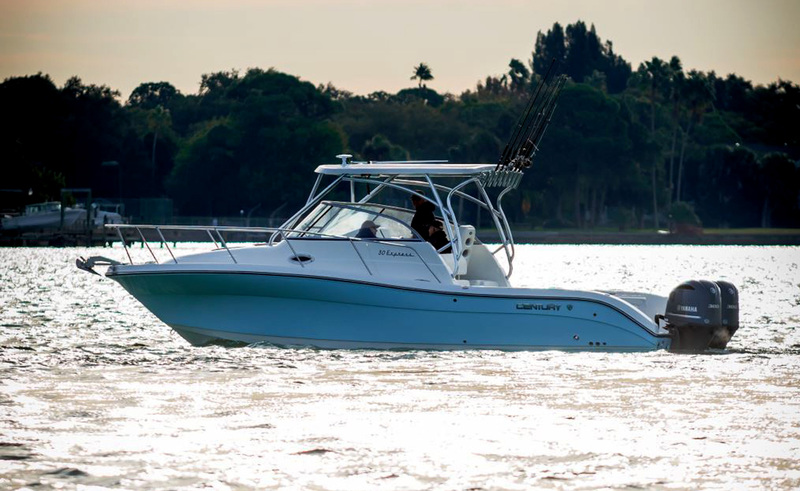 Other Choices: Other capable express boats with a fishing focus in this size range include the Grady-White Express 330 or the EdgeWater 335EX. View Century 30 Express listings. 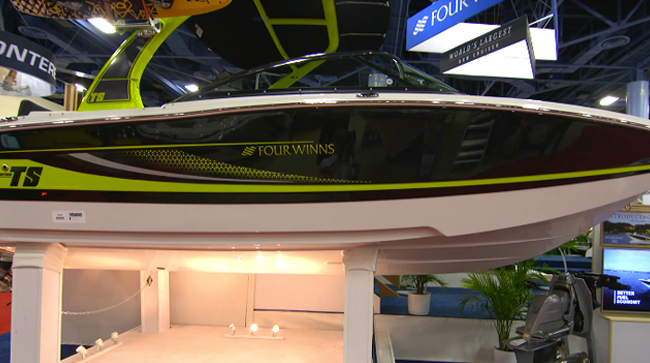 For more information, visit Century Boats.